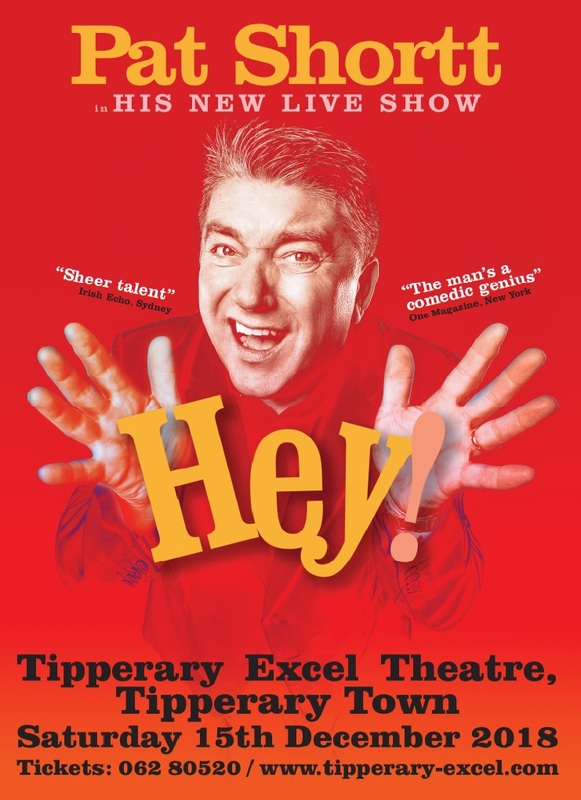 Following the sell-out successes of ‘The Hall’, ‘Selfie’ and ‘How’s Tings?’ and fresh from starring roles in the hit play ‘A Skull In Connemara’ and the film ‘The Belly of The Whale’, Ireland’s best loved comedian takes to the road with his latest quirky look at Irish life and Pat is hugely excited about coming back to Tipperary town! Featuring brand new material and sketches, Hey! is a rogue’s gallery of odd ball characters, bizarre situations and even a song or two. Pat's plays the Tipperary Excel Theatre on Saturday, December 15. Tickets available on www.tipperary-excel.com or by calling 062 80520.